How Did the Switch From Facebook Reviews to Recommendations Affect Business Owners? While the old review system asked users to rate businesses on a scale of one to five, Facebook recommendations for business ask customers whether or not they would recommend the company's products or services to others. Despite plenty of competition, Facebook remains by far the most popular social media platform among all demographics. It's still an incredibly valuable tool for local and international businesses, too, but it's important for business owners to realize that, as the platform grows and changes, their marketing strategies need to change as well. This article will discuss last year's switch from the platform's old review structure to the new system of facebook recommendations, which has now been fully implemented. What's the Difference for Customers? While the old review system asked users to rate businesses on a scale of one to five, Facebook recommendations for business ask customers whether or not they would recommend the company's products or services to others. Users begin by offering a simple “yes” or “no” answer. They are then shown tags that can be used to explain the recommendation and are offered the option to add text or photos. What's the Difference for Business Owners? Unlike the old facebook reviews, recommendations offer business owners an easier way to report fraudulent content. This helps to ensure that all feedback shown on the page is authentic and competitors are not able to take advantage of the feature to leave false reviews. Of course, customers also benefit from this change since they'll be better able to judge where they want to take their business. While reviews were only shown on a business's page, facebook recommendations are shown more frequently in users' newsfeeds. That means the new recommendations will reach a much wider audience than the platform's old review system, which benefits just about everyone, business owners included. How Will This Affect Marketing Strategies? 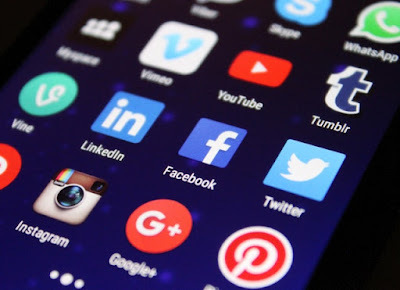 Business owners who manage their own social media pages will have to manage the change from reviews to recommendations and develop new strategies for obtaining user feedback for themselves. Those who have outside social media or digital marketing consultants can expect these experts to stay on top of this and future changes, making it easier for business owners to focus on other areas of their daily operations. While it's true that the switch to recommendations was a big change, it hasn't changed the fact that interacting with users via Facebook is still one of the best ways to generate new leads and convert more casual browsers to loyal customers. The best way to keep up with these changes is to work with a third-party digital marketing firm that has plenty of experience with Facebook and its newest features.